ATLANTA -- The father of two toddlers who police says were killed when their mother put them in an oven and turned it on says the woman called him by video chat Friday to tell him the children were dead. Local media reported Monday that the warrant charging Atlanta woman Lamora Williams with murder in the deaths of the two boys, 1-year-old Ja'Karter Penn and 2-year-old Ke-Yaunte Penn, says she put them in the oven sometime between midnight Thursday and 11 p.m. Friday. The father of the children, Jameel Penn, says Williams called him by video chat Friday night. Penn says Williams panned around the room, and he called police after seeing his sons on the floor. "After I seen what I seen, you know I called the police," Penn told The Atlanta Journal-Constitution on Sunday. Longtime friend Neesa Smith told the paper Williams called her before she called Penn Friday night. "I asked her what was wrong and she said, 'I can't do it no more,'" Smith said. Smith said Williams told her both the boys were dead. "I said, 'Call the police, Mora. Just call the police," Smith told the Journal-Constitution. Lamora Williams' family told CBS affiliate WGCL she struggled most of her life with mental health and may have been dealing with postpartum issues at the time of the incident. 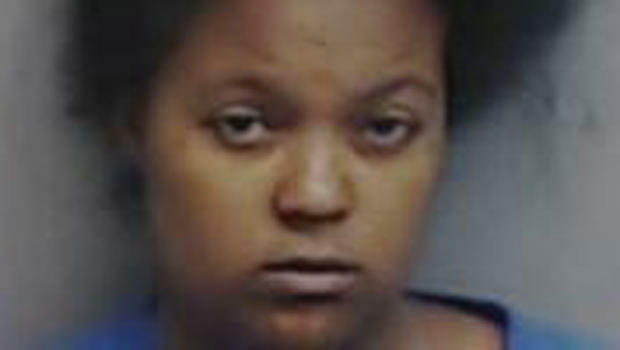 "My daughter is a sick person if she did what I think she did," Williams' mother Brenda Williams told the station.